Six out of every ten applicants who apply to Hollins University are admitted each year; the school is not highly selective, and applicants with strong grades and test scores are likely to get in. In addition to an application and SAT/ACT scores, interested students will need to submit letters of recommendation and a high school transcript. For more information, be sure to visit the school's website, or contact the admissions office with any questions. 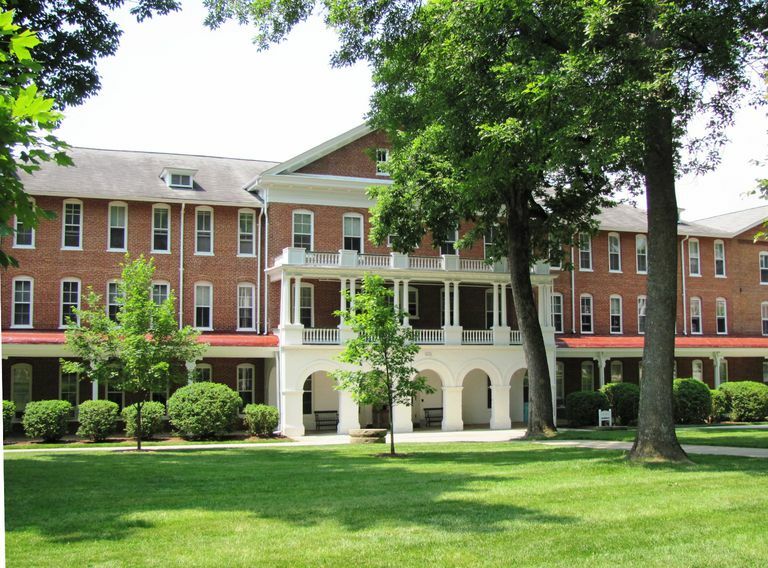 Hollins University is a private liberal arts college for women. The university's attractive 475-acre campus is located in Roanoke, Virginia, just twenty minutes from the Blue Ridge Parkway. Over half of Hollins students participate in an international learning experience, and 80% do an internship for credit. With a 10 to 1 student / faculty ratio and most classes numbering fewer than 20 students, Hollins prides itself on the interaction between students and faculty. Hollins' most popular major is English and Creative Writing, and the school's strengths in the liberal arts earned it a chapter of Phi Beta Kappa. "Hollins is an independent liberal arts university dedicated to academic excellence and humane values. Hollins University offers undergraduate liberal arts education for women, selected graduate programs for men and women, and community outreach initiatives. The Hollins curriculum and cocurricular programs prepare students for lives of active learning, fulfilling work, personal growth, achievement, and service to society."